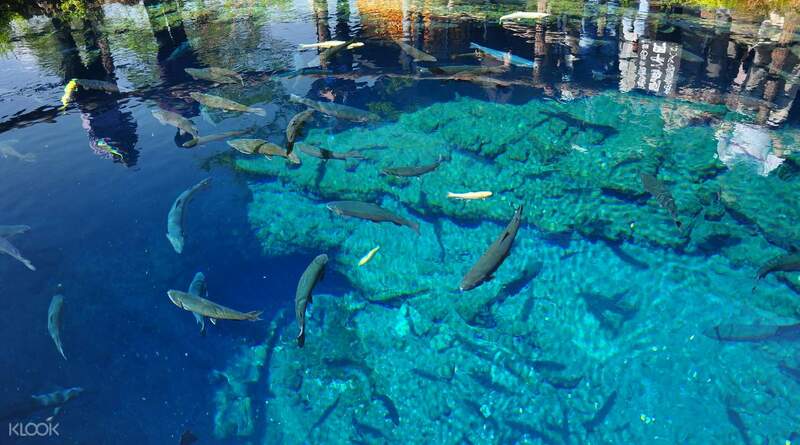 Enjoy the sight of eight ponds formed from the melted snow of Mount Fuji at Oshino Hakkai! 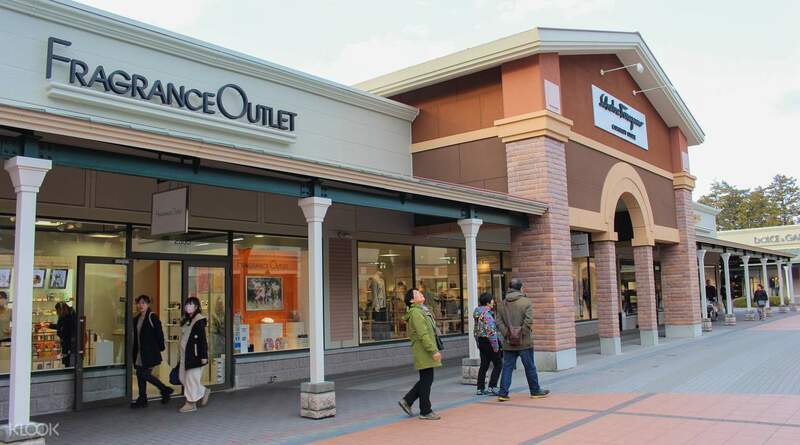 Visit the Gotemba premium outlets, the biggest in Japan, and stop at Takashimaya in Shinjuku! One of the luckiest day because Mt. Fuji showed up! We enjoyed the matcha drinking activity! We were lucky because cherry blossoms are everywhere and still in full bloom. Seeing Mt fuji is such a breath taking view. Tour guide is very nice and always reminds us the exact time we should come back to the bus. Mount Fuji is one of Japan's most world-famous icons, featured in virtually every symbolic depiction of this country. Considered as one of the most beautiful mountains in the world, it comes as no surprise that hundreds of thousands of tourists are drawn to visit it. This quintessential tour, with a Chinese guide or an English audio guide to help you, will take you to its finest spots. 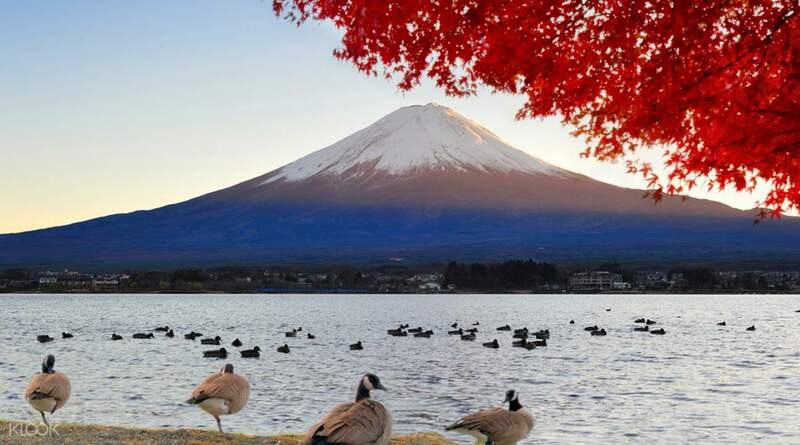 From the Shinjuku Prince Hotel, you'll head to Fuji Hakone, a national park of stunning natural beauty. Dazzling fields of plants and colors await you as a feast for the eyes. From here, you'll travel to see Oshino Hakkai, a collection of eight lovely ponds that had been formed off the melted ice from Mount Fuji. 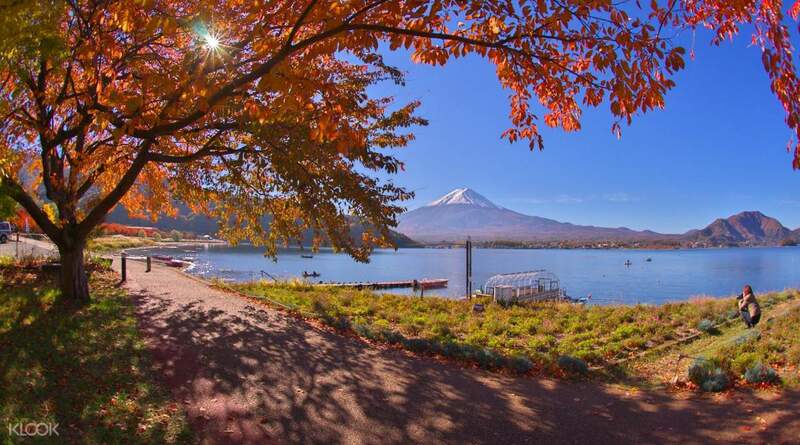 This scenic setting is full of lovely tranquility and serves to underscore the majesty of Mount Fuji. Then you'll stop at Peace Park Stupa and see the charming white Buddhist pagoda that symbolizes peace. 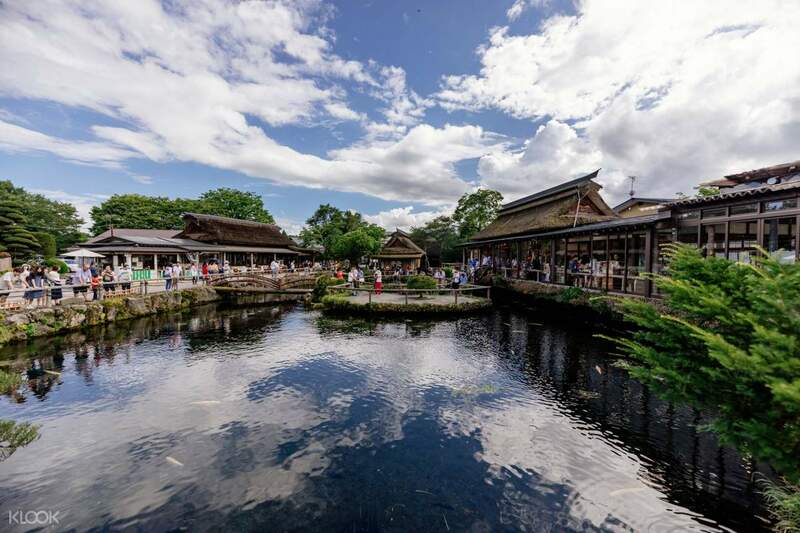 You will have plenty of free time to go shopping from here on as you head to Gotemba Premium Outlets, followed by a stop at the world famous Takashimaya in Shinjuku, the end to your full day tour. End your day with an amazing shopping experience! One of the luckiest day because Mt. Fuji showed up! We enjoyed the matcha drinking activity! We were lucky because cherry blossoms are everywhere and still in full bloom. Seeing Mt fuji is such a breath taking view. Tour guide is very nice and always reminds us the exact time we should come back to the bus. One of the luckiest day because Mt. Fuji showed up! We enjoyed the matcha drinking activity! We were lucky because cherry blossoms are everywhere and still in full bloom. Seeing Mt fuji is such a breath taking view. Tour guide is very nice and always reminds us the exact time we should come back to the bus. Omg. This. Is. Awesome. Although we indicated that we needed an English-speaking guide for the tour, we were allocated to a Chinese & Cantonese speaking guide hahaha. Thankfully, my partner and I understood Chinese (though he spoke quite fast then cannot catch LOL). Anyway, our guide was Max and he told us that Mount Fuji can be seen on an average of 80 days a year. So we were lucky to have seen it on all stops when we were on the tour. Moreover, we even caught the Sakura! Max told us that the blooms were gonna last for another 2 days. Again, we were super lucky to have seen Mount Fuji x Sakura. Definitely recommending this tour although it can be a risk to see Mount Fuji or not. The shopping at Gotemba was pretty awesome too, lots of brands such as Kate Spade, Le Creuset, Champion, Burberry etc. all there! However, 2 hours was pretty short considering that time was taken to take pics there (Mount Fuji can be seen there too!!!). The matcha experience was pretty cool and quick so not much of an issue though it can be boring for some. Make sure to have some Yen for lunch since it is not covered. There are lunch places at Gotemba (Shake Shack) and Lake Kawafuchigo so don’t worry about your tummy ya. Depending on the season, you might wanna wear slightly a bit more. I went in Spring and it can get quite chilly when the wind blows. Also, make sure you head to Prince Hotel Shinjuku earlier cos they leave quite on time. In overall the tour was of value for money and awesome. Omg. This. Is. Awesome. Although we indicated that we needed an English-speaking guide for the tour, we were allocated to a Chinese & Cantonese speaking guide hahaha. Thankfully, my partner and I understood Chinese (though he spoke quite fast then cannot catch LOL). Anyway, our guide was Max and he told us that Mount Fuji can be seen on an average of 80 days a year. So we were lucky to have seen it on all stops when we were on the tour. Moreover, we even caught the Sakura! Max told us that the blooms were gonna last for another 2 days. Again, we were super lucky to have seen Mount Fuji x Sakura. Definitely recommending this tour although it can be a risk to see Mount Fuji or not. The shopping at Gotemba was pretty awesome too, lots of brands such as Kate Spade, Le Creuset, Champion, Burberry etc. all there! However, 2 hours was pretty short considering that time was taken to take pics there (Mount Fuji can be seen there too!!!). The matcha experience was pretty cool and quick so not much of an issue though it can be boring for some. Make sure to have some Yen for lunch since it is not covered. There are lunch places at Gotemba (Shake Shack) and Lake Kawafuchigo so don’t worry about your tummy ya. Depending on the season, you might wanna wear slightly a bit more. I went in Spring and it can get quite chilly when the wind blows. Also, make sure you head to Prince Hotel Shinjuku earlier cos they leave quite on time. In overall the tour was of value for money and awesome. I’d like to take this opportunity to praise our tour guide Ms Peggy for being responsible yet a fun tour guide ever. She is super helpful and teach us a lot about japan history on our way to every destination. Please be punctual as the rule for this tour is to wait only 10 mins. Please spare some time in the outlets. Some of the item there are really worth to buy. Go to Prada if you have time. 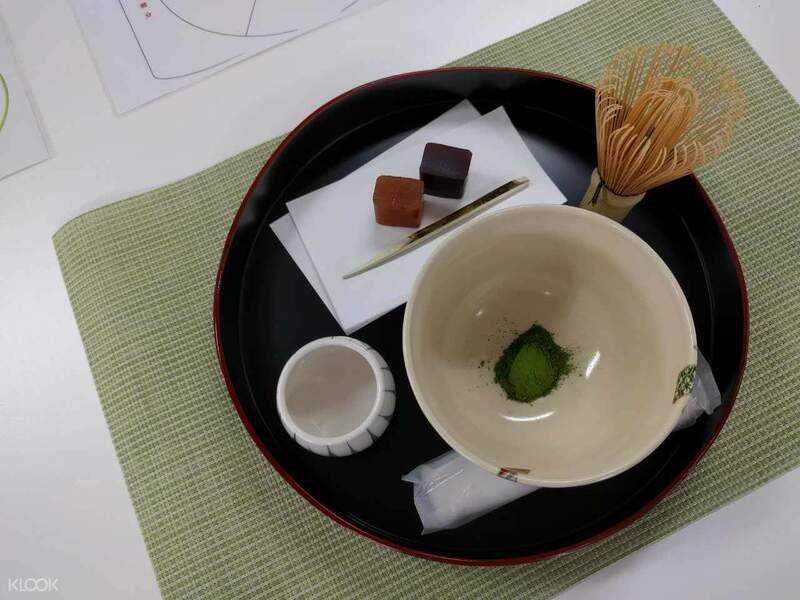 Matcha ceremony is a beautiful experience. Thanks again to Klook! I’d like to take this opportunity to praise our tour guide Ms Peggy for being responsible yet a fun tour guide ever. She is super helpful and teach us a lot about japan history on our way to every destination. Please be punctual as the rule for this tour is to wait only 10 mins. Please spare some time in the outlets. Some of the item there are really worth to buy. Go to Prada if you have time. Matcha ceremony is a beautiful experience. Thanks again to Klook! it was a great day to see mt. fuji in all it's splendor with clear blue skies. opted for an english audio guide upon booking but there was none during the tour. our chinese speaking guide, max, did try his best to answer our questions in english. our family of 8 highly recommends this tour. it was a great day to see mt. fuji in all it's splendor with clear blue skies. opted for an english audio guide upon booking but there was none during the tour. our chinese speaking guide, max, did try his best to answer our questions in english. our family of 8 highly recommends this tour. our guide jackie was awesome, he speaks good english better than expected. the tour overall was fun! close up view of mount fuji! gotemba outlet is the bomb! would be better if we have more time at the outlet! our guide jackie was awesome, he speaks good english better than expected. the tour overall was fun! close up view of mount fuji! gotemba outlet is the bomb! would be better if we have more time at the outlet! excellent tour! transportation was really comfortable and tour guy was friendly even though he doesn't speak too much english but that was not a problem. The only thing that could be better is the meeting point process since there was a lot of people in the hotel lobby and was not only for one tour so was confusing to know who to look for to make sure you were going with the right tour guide. For people going on the tour, please make sure you follow the timing, if they give a time to come back to bus, BE ON TIME! excellent tour! transportation was really comfortable and tour guy was friendly even though he doesn't speak too much english but that was not a problem. The only thing that could be better is the meeting point process since there was a lot of people in the hotel lobby and was not only for one tour so was confusing to know who to look for to make sure you were going with the right tour guide. For people going on the tour, please make sure you follow the timing, if they give a time to come back to bus, BE ON TIME! nice relaxed pace tour. first stop kawaguchiko lake, 2nd stop matcha experience, 3rd stop oshino hakai for lunch and rest, 4th stop heiwa park for cherry blossoms, 5th stop gotemba outlets. not much walking so it's good for the elders. wish we spent longer at the outlets than the park but it was a good tour overall. FYI this tour is popular among the Chinese so the tour guides are Chinese who speak little English and you'll be put in a busload of Chinese people. nice relaxed pace tour. first stop kawaguchiko lake, 2nd stop matcha experience, 3rd stop oshino hakai for lunch and rest, 4th stop heiwa park for cherry blossoms, 5th stop gotemba outlets. not much walking so it's good for the elders. wish we spent longer at the outlets than the park but it was a good tour overall. FYI this tour is popular among the Chinese so the tour guides are Chinese who speak little English and you'll be put in a busload of Chinese people. We booked this activity with the Buy 1 Free 1 deal and it was perfect 👍🏼 We got super lucky with Mount Fuji appear very clear everywhere we go. Pictures outside the place we had matcha experience had the most clear view of Mount Fuji. Even at Gotemba, Mount Fuji can be seen. Although 2 hours at Gotemba is not enough fo shopping, I really enjoyed my time there. The tour guide is very helpful in translating in English to us. We booked this activity with the Buy 1 Free 1 deal and it was perfect 👍🏼 We got super lucky with Mount Fuji appear very clear everywhere we go. Pictures outside the place we had matcha experience had the most clear view of Mount Fuji. Even at Gotemba, Mount Fuji can be seen. Although 2 hours at Gotemba is not enough fo shopping, I really enjoyed my time there. The tour guide is very helpful in translating in English to us. The best tour ever!! We were able to see mt.fuji the whole day of tour. Its a surreal experience. You shouldn’t leave japan without visiting mt. Fuji. If you love shopping, Gotemba is the best plce for you. A lot of branded stores and the price are cheaper compared to malls. Thought 2 hours is a bit short but if you have the list of the stores that you would like to see it would be better. The best tour ever!! We were able to see mt.fuji the whole day of tour. Its a surreal experience. You shouldn’t leave japan without visiting mt. Fuji. If you love shopping, Gotemba is the best plce for you. A lot of branded stores and the price are cheaper compared to malls. Thought 2 hours is a bit short but if you have the list of the stores that you would like to see it would be better.